Recently I have been trying to come up with more weekend breakfast items besides the usual pancakes, waffles and scones. So I did some research on my computer and in my kitchen. 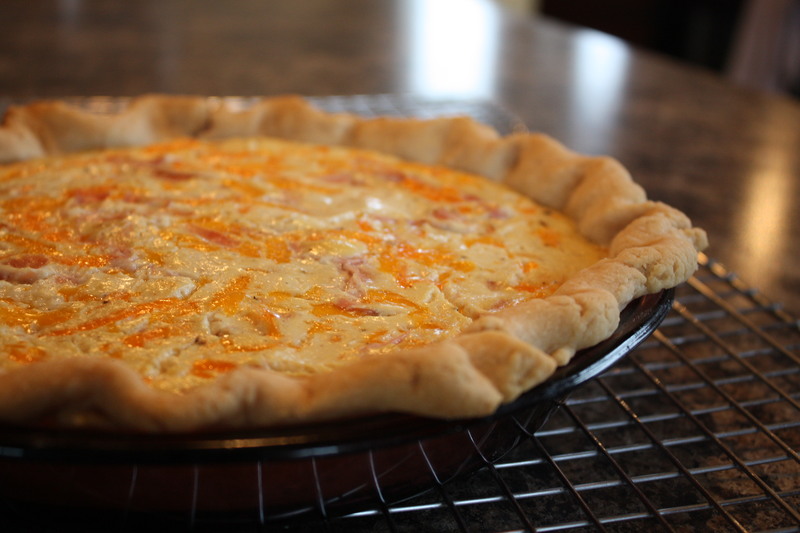 Eggless quiche was the experimental dish of choice. Since then I have made a few and my family loves them. They especially like them when I bake the quiche in a 8 by 8 glass dish and use hash browns as a base instead of pastry. And truthfully it’s a lot less work than making pie crust! 🙂 If you try a hash brown crust you will need to bake the hash browns first until they are lightly browned. The secret to an eggless quiche is tofu. Yes, that’s right tofu. I was hesitant to try it myself. So I bravely went to my local health food store and asked the stock guy what kind of tofu to purchase. He said Extra Firm Silken Tofu. It’s also in regular grocery stores where the health food section is. It’s important you buy the Extra Firm so the quiche sets. Also you need to process the tofu in a food processor or blender to make it smooth. Do not cut when screaming hot or it will not be set up. Allow to cool for a bit before you cut into it. Thank you soooooo much for this! Made this last night, and my very picky hubby couldn’t get enough. He loves quiche but hasn’t been able to eat it for years. I even had to use soy-cheese (also lactose intolerant) and it was very very good. You are welcome! Glad you all enjoyed the quiche!